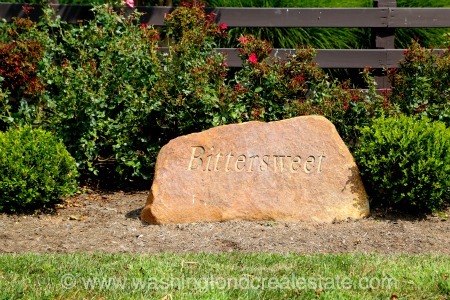 Bittersweet Farm is an upscale community of five custom homes located in Great Falls, Virginia. The community features stone front homes designed with craftsman and French influences and finished with upscale appointments. Homes range in size from 4,500 - 5,600 Sq Ft and they are sited on spacious over-sized lots. Bittersweet Farm was developed by SugarOak Custom Homes of Herndon. The Bittersweet Farm community is located in Great Falls off Seneca Road, two miles north of Georgetown Pike and south of Beach Mill Road. Bittersweet Farm is adjacent to the Tally Ho neighborhood. The neighborhood is served by the Forestville Elementary School, Cooper Middle School and Langley High School.